SEYMOUR—Father Todd Goodson likes spending time with the people he serves. On a recent Sunday morning in December, he welcomed newcomers to St. Ambrose Parish in Seymour—where he serves as pastor—by presiding over the Rite of Acceptance, a ritual in the Rite of Christian Initiation of Adults. From there, he celebrated Mass in the packed church. After Mass, Father Goodson chatted with parishioners as they browsed through Catholic books, videos and gift items that were on sale in the parish life center. Later, he went to Our Lady of Providence Parish in Brownstown, where he also serves as pastor, to celebrate Mass. 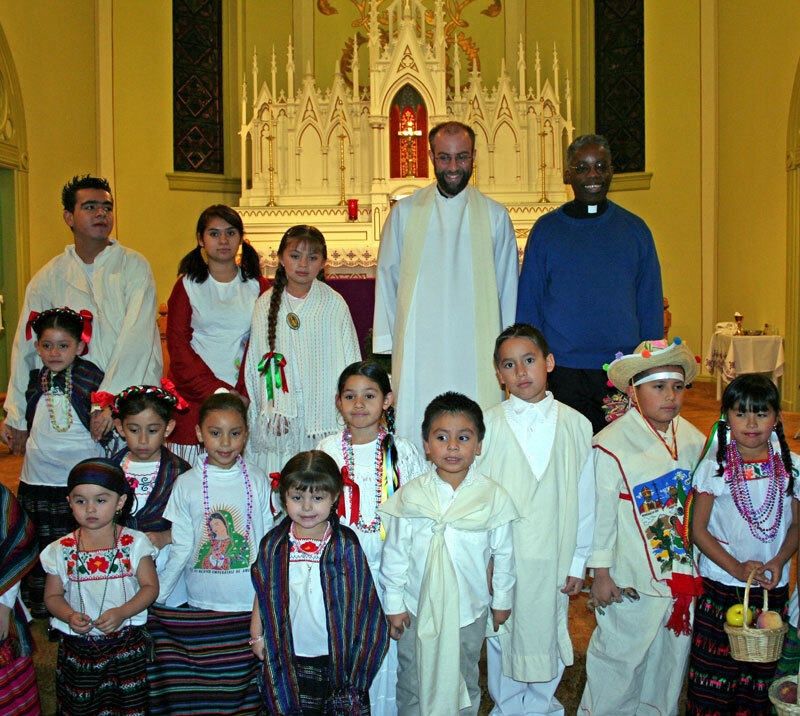 In the afternoon, Father Goodson was back at St. Ambrose to celebrate Mass in Spanish for the parish’s Hispanic community. He said he enjoys “just seeing Christ in the people you serve. “There are some tremendously powerful ministerial experiences that you have in just being with your folks,” Father Goodson said. Just as he values being with his parishioners, Father Goodson is trying to persuade them to spend more time with each other and help them grow in unity. Although they are one in the Catholic faith they share, differences in language and culture have kept them apart in the past. The grace-filled journey is one that he wants to make with a growing number of traveling companions. “He tries to get to know everybody one-on-one,” said Wanda Hunt, a member of St. Ambrose Parish. One person that Father Goodson has gotten involved is Ana De Gante, who helps coordinate the Spanish-language liturgies at St. Ambrose Parish. 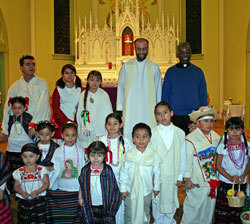 De Gante appreciates how her pastor is working to bring people together in the parish. Father Goodson saw the beginnings of the fulfillment of that dream at a bilingual Mass on Ash Wednesday in 2007. Laverne Carr, a lifelong member of St. Ambrose Parish who helps plan its liturgies, was in attendance. Although he works to bring people together in all sorts of situations, Father Goodson said the unity is expressed the best at Mass.